provide you better value and exclusive offerings from our local partners. Okanagan Spirits Craft Distillery specializes in the production of premium spirits created from 100% B.C. fruits and grains. Our spirits, distilled in the Okanagan, Canada, are created with passion and distilling expertise using Copper Pot Stills. Our spirits are created with the guarantee that no artificial flavouring, colouring or essences have been added. Except for the whisky, our spirits are also gluten-free. Okanagan Wine Country, British Columbia is more than a place, it's a state of being. One filled with local winemakers, chefs, farmers and artisans all ready to share the fruits of their labour. Leave the ordinary behind, head to a taste of the good life - acres of stunning beauty where you can wine, dine, splash, paddle, pedal and soar above it all, or just relax and savour the moment. 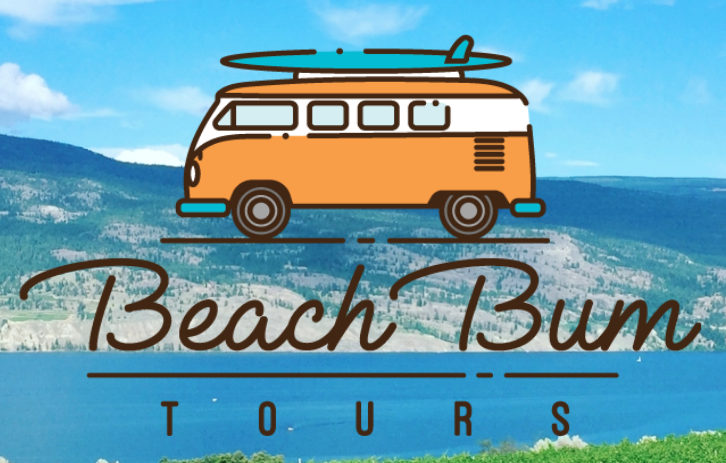 At Beach Bum Tours Ltd., they aim to create a laid-back, relaxed and fun way to learn about the wine, beer and spirits created in the Okanagan Valley. They mix the best of the Okanagan, combining the beach lifestyle with wine/beer/spirits culture. All of their tours are fun-focused! They aim to make sure you have the best experience while getting to know the wines of our beautiful region. They also feature beer and spirit tasting with tours to Kelowna’s unique, local microbreweries and spirit distilleries. They have partnered up with local business to have a multitude of different tour packages that include wine/spirits/beer along with wake surfing, boating, paddle boarding and yoga, and now sailing.